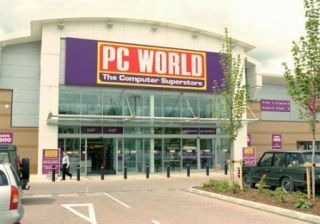 Two of the most iconic characters of Star Wars are to feature in a new advertising campaign for PC World and Currys. Droids C-3PO and R2D2 are to star in both print and television adverts, with Anthony Daniels reprising the role of C-3PO once more. The adverts have been created by M&C Saatchi and have the tagline: "Discover the greatest electrical store in our galaxy." Speaking about the advertising campaign, Niall O'Keefe, UK marketing director for Dixons Retail, explained: "Our Megastores offer the largest selection of electricals in the UK, and we wanted to create a partnership that would truly represent the size and scale of the shopping experience a Megastore delivers. "Who better than C-3PO and R2-D2, arguably two of the most well-known characters in film history, to showcase exactly how vast our Megastores really are – we believe they are unrivalled throughout the galaxy." He obviously hasn't been to Galaxy Electrics this side of Uranus. The first televised adverts will be show in the middle of X Factor this Saturday (23 October). So you can watch the Star Wars cash cow get milked once more and Wagner all in one weekend! We don't know how we will contain ourselves.